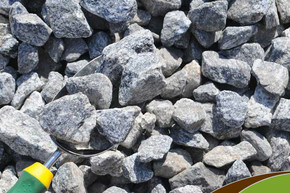 "USES: Erosion control, Building roads, driveways, back filling garages, usually put down before crusher run. Used as a coarse base or temporary road. " COVERAGE GUIDELINES:1 ton covers an area approximately 120-109 square feet to an average depth of 2 inches.